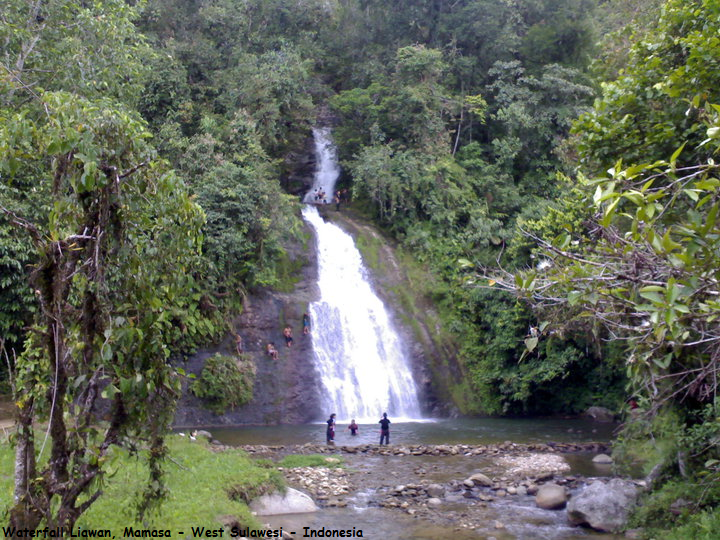 Waterfall Liawan in Mamasa district, West Sulawesi, From a distance you'll look like a white stream that continues to flow splitting green trees around it, making you immediately rushed as if impatient to feel the freshness and coolness Liawan waterfall. And really, once you arrive in front of a waterfall that was big and broad, then the sparks hit the waterfalls and rock underneath the lake, providing a splash of freshness for you. There can be satisfied simply swimming or bathing, enjoying the freshness of the water. Or you want to try cliff diving from the top of waterfalls, rapids menghujam penetrate water collection underneath.